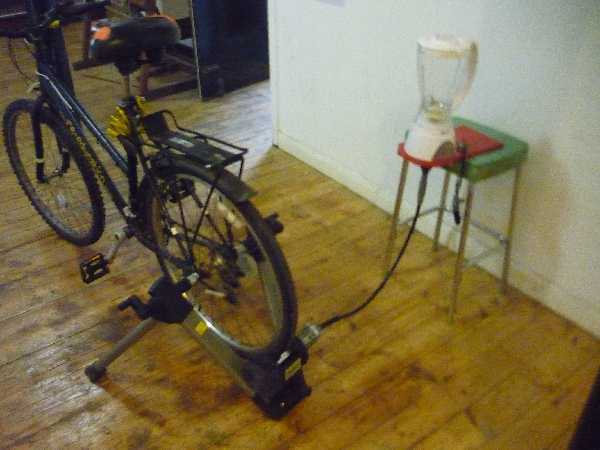 A year or so ago I was asked to build a pedal powered generator and pedal powered smoothie machine for London Bike Hub. Recently they asked me to build another smoothie bike for their events promoting cycling in London and beyond. This time I thought I’d take a few photos of it before I deliver it. If you would like to build your own, I have created an instructable with details of making your own smoothie bike. My new version is a bit different as I now have access to a metal lathe.